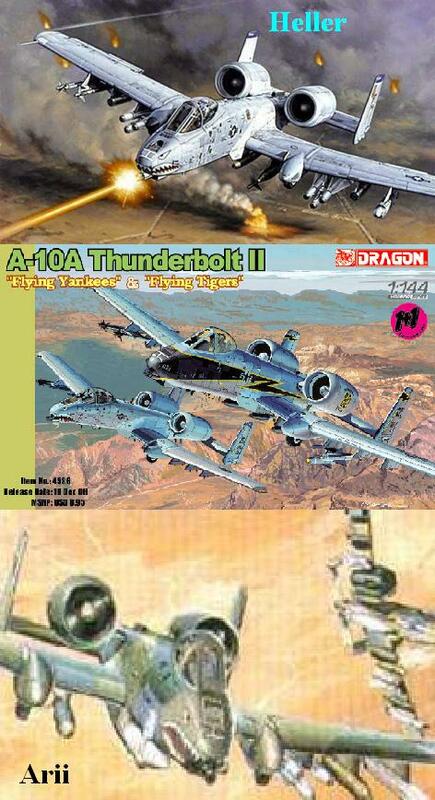 Today not a tank in it's classic form but one with wings; The A-10 Thunderbolt II or "Warthog". 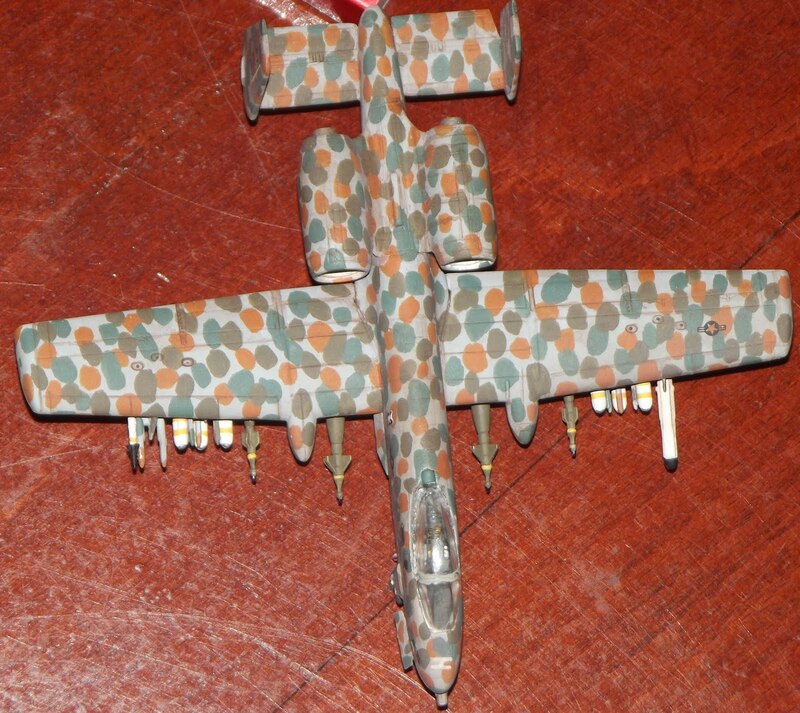 This is an Close Air Support aircraft pretty much built around the 30mm GAU8 Avenger, a Gatling gun with 7 barrels. 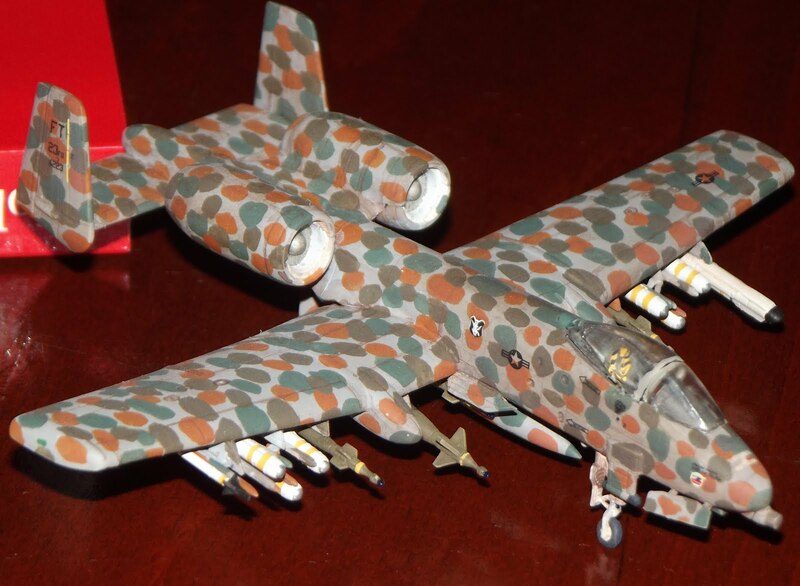 It also includes 540kg of armour plate and can carry a vast amount of bombs and rockets making this a flying tank. 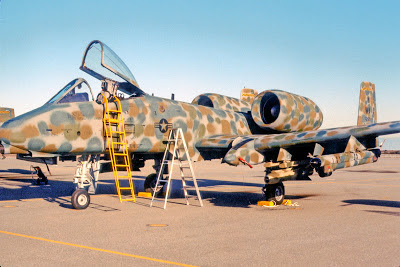 An A-10 firering it's main gun. 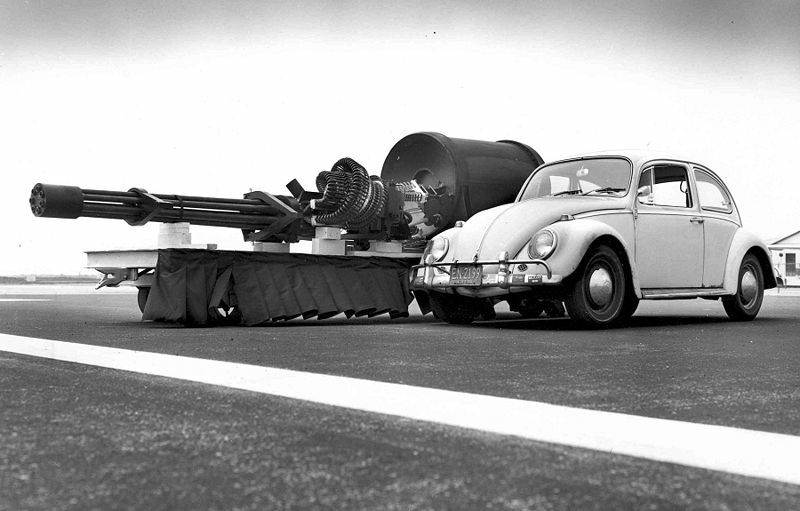 The GAU 8 gun with a Volkswagen 'beetle' next too it. In 1/144 scale 3 models are available from Dragon, Arii and Heller with Arii having the oldest model and Heller the latest. 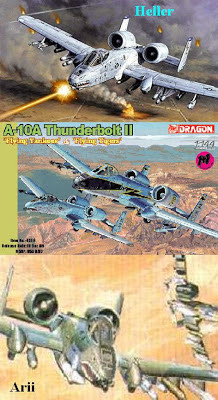 Heller's offering in available also in a Revell boxing and is more easily to get. 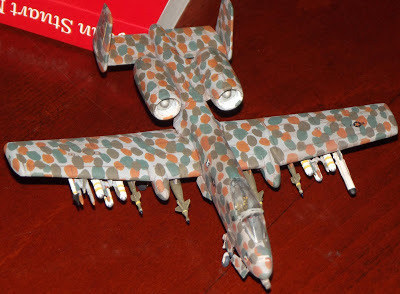 I build the Dragon model which is available only in a box with two planes. The Dragon model is from a upgraded mold, most of the ordinance is new however. A look at the ordinance, this machine is a kind of flying ammunition depot. 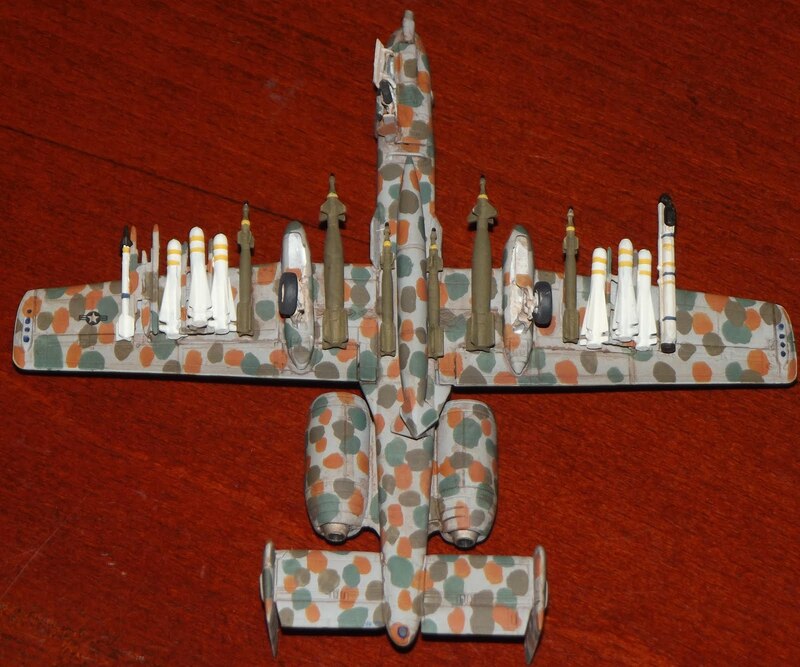 The kit includes a lot of other bombs as well so an entirely other configuration can be chosen as well. 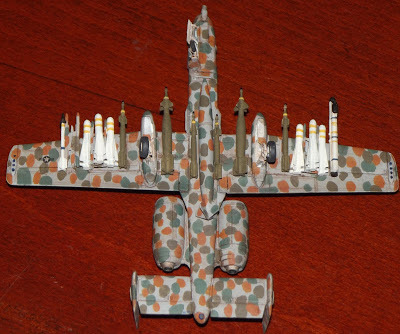 I don't know which of the A-10 models available is the best but this one certainly is very good and with the vast choice in bombs and rockets it is a bargain.